Regenerative Healing is the umbrella name for all the healing treatment sessions, personal healing days and training courses that Rowena offers. A combination of EFT & Regenerative Healing is highly effective in combining Energy Psychology with Energy Balancing/Healing. This has evolved over time and has proven to be highly successful. 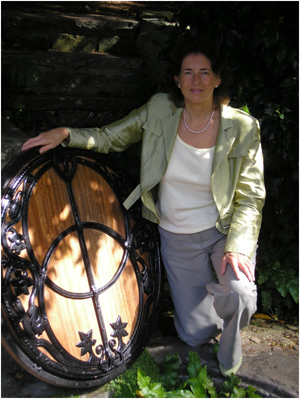 Rowena’s task is to facilitate the Training of Trainers for a variety of modalities so that these quality trainings can be passed on throughout the world, and she offers private training courses in Glastonbury, Somerset by arrangement. If you are passionate about healing or already feel you have a healing gift this could be the course for you. Reiki means ‘Universal Life Force Energy’ Reiki 1 has a four stage Attunement process to align you to the frequency of Reiki Healing Energy it is also a course of transformation. Reiki II introduces you to absent healing techniques. 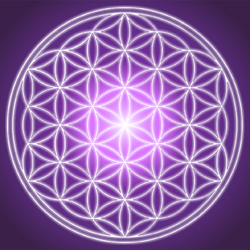 Reiki III - Master Practitioner introduces you to more knowledge and further Attunements. Reiki Master Teacher is available when you feel ready to teach this very special modality. If you love healing and you love Angels then Angelic Reiki could be the course for you. It is considered an extension of Reiki as it is Multidimensional and really expands what you have already learned through traditional Reiki. However if you are drawn to Angelic Reiki there is no pre.requisite for Angelic Reiki only the love of working with Angels. There are two course Angelic Reiki 1 & 2 Practitioner Training and Angelic Reiki 3 & 4 Master/Teacher Training. Courses are for two full days and sometimes the evening before. Magnified Healing® 1st Phase is a series of very beautiful exercises that incorporates all aspects of healing – physical, emotional, mental, etheric and spiritual. Using sacred geometries, breathing and affirmations allowing the student to participate and then be able to teach the process. Celebration workshop is when we build a beautiful temple of Light between us, it isn’t a pre.requisite to the 3rd Phase. Magnified Healing® 3rd Phase enables you to become the Practitioner. Ascended Master Kwan Yin offers a number of gifts on these beautiful courses. "Life should not be measured by the breaths we take but by the moments that take our breath away."